The Romans under Lucius Mummius destroyed Corinth following a siege in 146 BC; when he entered the city Mummius put all the men to the sword and sold the women and children into slavery before he torched the city, for which he was given the cognomen Achaicus as the conqueror of the Achaean League (see Battle of Corinth). While there is archeological evidence of some minimal habitation in the years afterwards, Julius Caesar refounded the city as Colonia laus Iulia Corinthiensis in 44 BC shortly before his assassination. According to Appian, the new settlers were drawn from freedmen of Rome. Under the Romans it became the seat of government for Southern Greece or Achaia (according to Acts 18:12-16). It was noted for its wealth, and for the luxurious, immoral and vicious habits of the people. It had a large mixed population of Romans, Greeks, and Jews. When the apostle Paul first visited the city (AD 51 or 52), Gallio, the brother of Seneca, was proconsul. Paul resided here for eighteen months (see Acts 18:1-18). Here he first became acquainted with Aquila and Priscilla, and soon after his departure Apollos came from Ephesus. 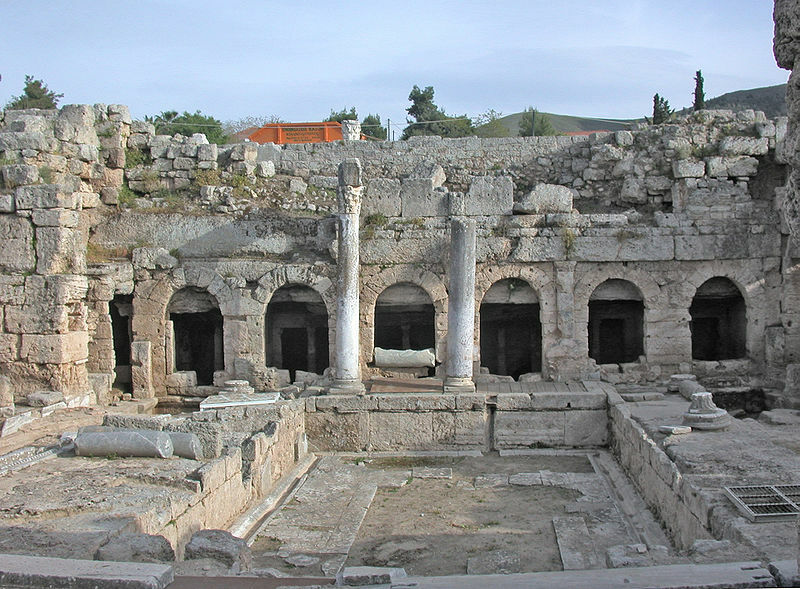 Although he intended to pass through Corinth the second time before he visited Macedonia, circumstances were such, in the absence of Titus, that he went from Troas to Macedonia, and then likely passed into Corinth for a "second benefit" (see 2 Corinthians 1:15), and remained for three months, according to Acts 20:3. During this second visit in the spring of 58 it is likely the Epistle to the Romans was written. Paul also wrote two of his epistles to the Christian community at Corinth, the First Epistle to the Corinthians and the Second Epistle to the Corinthians. The first Epistle reflects the difficulties of maintaining a Christian community in such a cosmopolitan.